As much as I love bargain polish, I'm always a little wary of other bargain cosmetics. Many of them are wimpy in the pigment department, but that worry fell aside when I saw this post on Nouveau Cheap. My eyebrows went up, and two days later I was digging through the $1 bins at a local Walgreens. 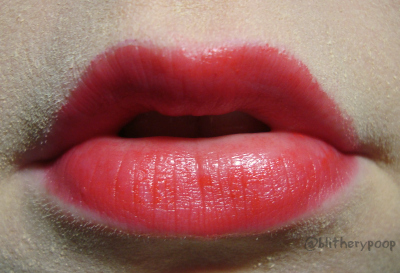 I found not just the Luxy Lips, but also the Feline Lip Lacquers mentioned in the comments. Two of each and one of the new Jordana Modern Matte Lipsticks came home with me, for a shockingly low price. 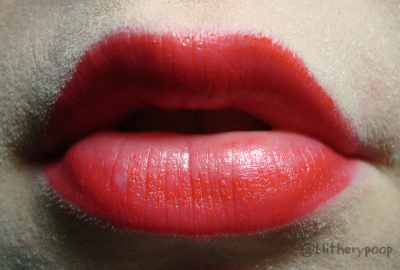 I prepped my lips and got to swatching! Best thing first this time. Shiny! Vibrant! I am so impressed! This is a dollar very well spent. 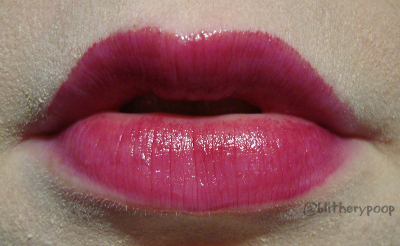 It even feels good on, and nothing like most bargain lip colors. Not the slightest bit of stickiness. 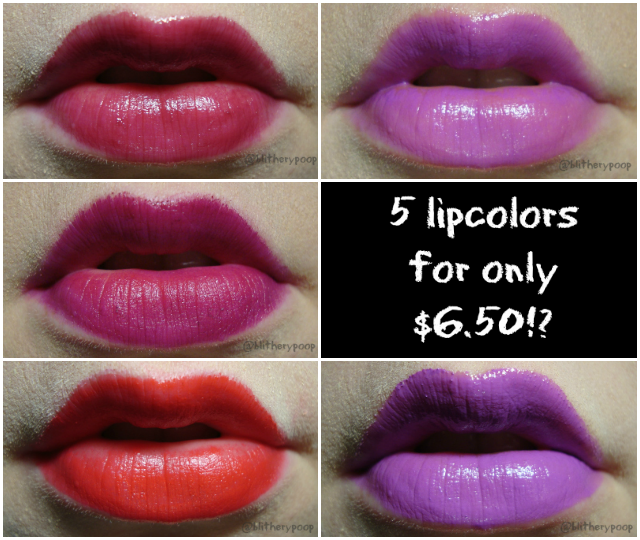 All four Profusion lipcolors I tried have the same light tropical fruit scent. It's oddly familiar. Took me a moment, but I know why I know that scent. Tropical Tums antacids. Completely. Not bad, just strange and kinda funny. 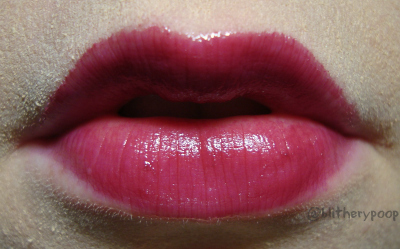 But again...this color, feel, and price make a little Tums scent completely livable. You need this. After Cheshire I had such high hopes for Prowl. In the tube it's very much my kind of color, a deep rose. On the lips, not so much. Not a bad color, but much sheerer and lighter than I'd expected. Still worth the dollar I spent, but not as worth it. Same Tropical Tums scent and surprisingly good feel. It didn't stick to me as well as Cheshire either. 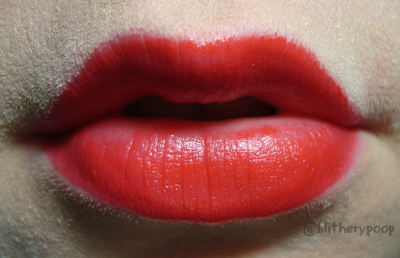 Lip liner's a must for this one, for me at least. Hmm. As blown away as G. was by these, I'm a little let down. Maybe it's because I applied it with a brush and not directly from the tube, but I didn't get the impact I was expecting from her review. That being said, I actually kinda like how it looks with a light application and she was right about the good feel on the lips. Still...I wanted more, so I went back with a heavier hand. That's more like it! Liner's needed even more here though. It wouldn't stick to the inner curve of my lower lip for anything. It came off half of that lip the moment I rubbed them together. Oh man. Meh. I couldn't get it even with a light touch, so I snapped a photo and instantly went back for more. Better. Still kinda patchy, but better. I'm conflicted on this one. The tube color is much darker, so I'm kinda disappointed. It needs a liner, which...a lot of stuff does on me. What wins me back is the finish and feel. 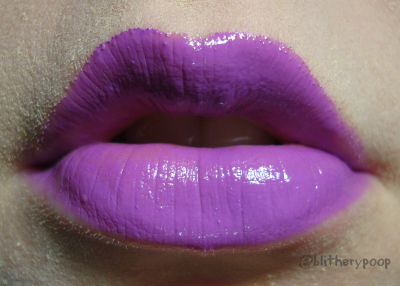 It's not the flattest matte ever, but it isn't the slightest bit chalky or harsh. Once I got over it not being a vampy wine color, I guess I do like the result. The scent is light, sweet, and unobtrusive. The $2.50 I paid still feels like a good deal. I might try another shade. Bottom line: Cheshire is absolutely worth a short drive and a bit of rooting around in the dollar bin. 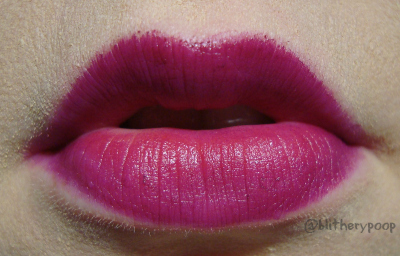 The Luxy Lips are good, but I can't give them as strong an endorsement as G. did. 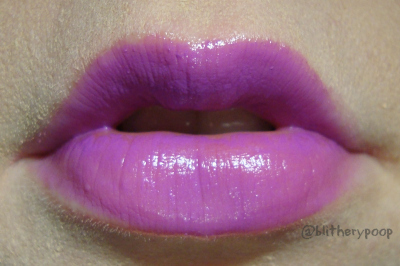 She compares them to OCC Lip Tars, but I don't think they pack anywhere near as much punch. 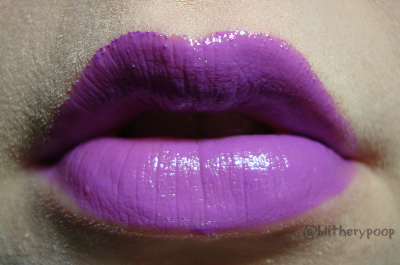 Matte Dare is my first Jordana product, and while I grump just a bit about the color, it won't be my last from them. Prowl isn't at all what I expected, but still worth the dollar. I work tomorrow night, so The Beard and I had Fake Valentine's Day last night. I made monte cristo sandwiches and there was much snuggling. Great night! Hope your Valentine's Day is just as good! My stupid Walgreens doesn't have the dollar bins....guess I will have to find them at another Walgreens. 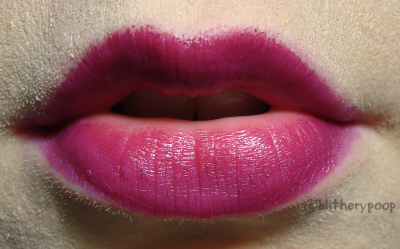 How many colors are there in the Profusion Feline Lip Lustres? They're mixed in with all the kiddie makeup they had out at Christmas. There's quite a bit left at the stores by my house, I had to dig .. But I found them.